I arrive early (on a cold day in London) to Heathrow Terminal 5 for my flight. My Flight?, I hear you ask? Travel Czar didn’t you just travel 24 hours to be in London? 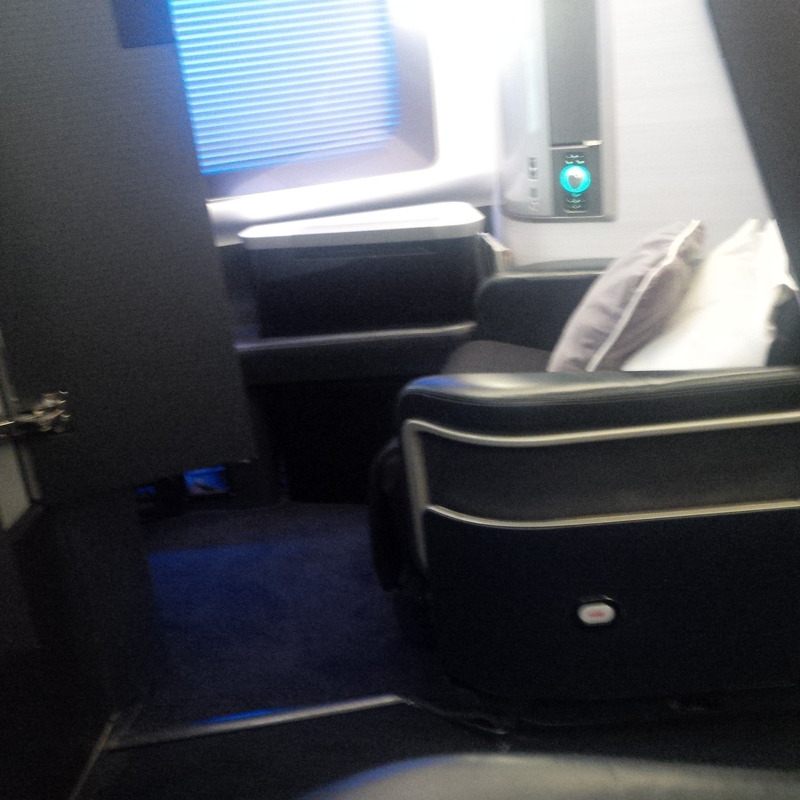 (review of my Qantas flight to London here). I love the Concorde Room and LA doesn’t have one. The trip across the Atlantic is beautiful. Now I will leave it to your own time to question the logic of that thought process and my sanity etc, but for now let’s focus on the trip. I clear security and head directly into the Concorde Room. 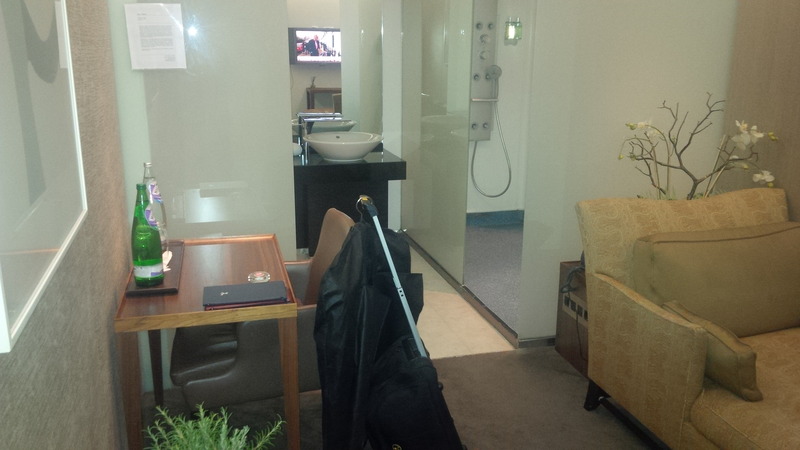 So what is this special Concorde Room? Well it’s like the Qantas First Lounge in Sydney, but it has private booths, a Boardroom, full waiter service and of course the lovely Cabanas (little mini hotel suites where you can relax, have a shower, a nap and just recharge). I wander through the lounge and am immediately approached by a friendly host, who asks if I want something to start my day. I suggest a cappuccino and pastries. There are forthcoming and simply delicious :). 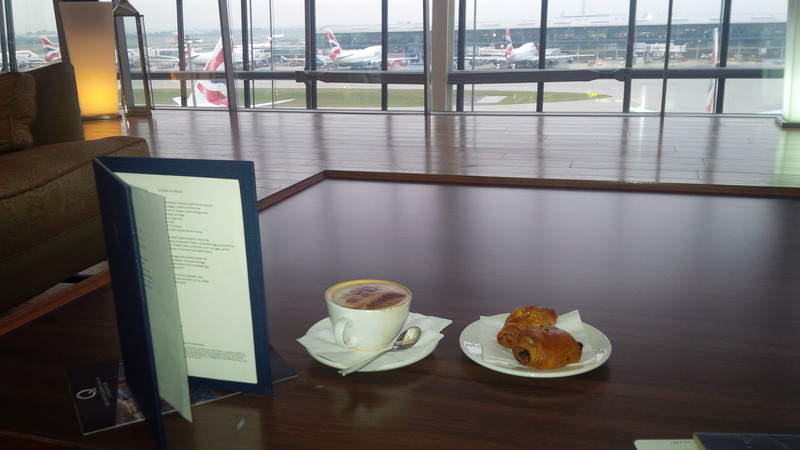 The Concorde Room has views over the T5 runway which makes a simple breakfast a truly amazing experience. Then I move onto the amazing lunch menu. 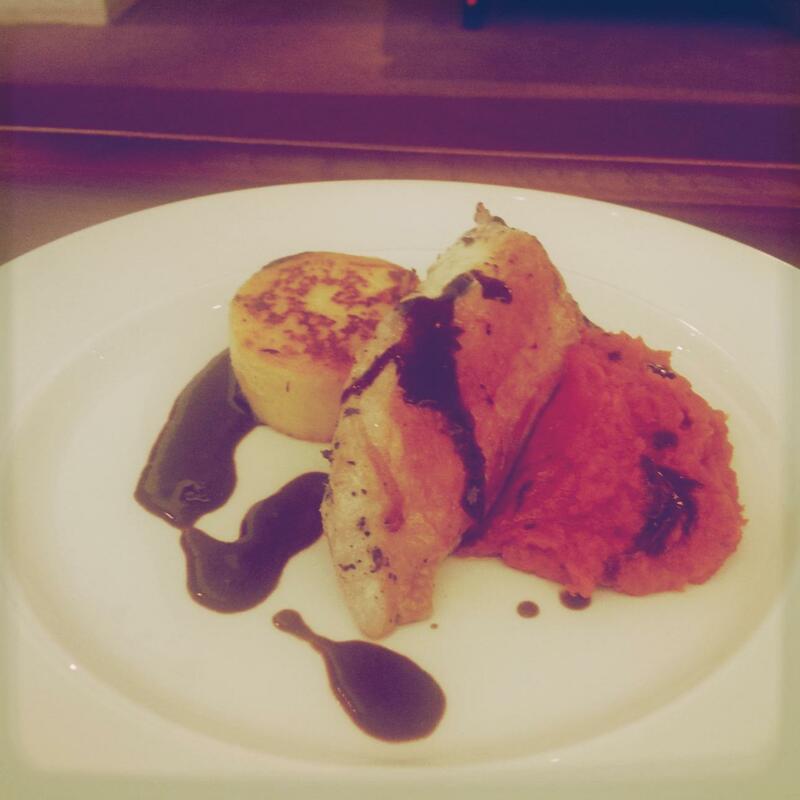 I opt for the Roast Chicken on a pumpkin puree and potato fondant. The chicken is so soft and tender it just melts in your mouth and there are the right condiments and sides to complete the experience. Just perfect! The smoked haddock fish cakes are next with a poached egg on top. As I poke the egg, I burst the creamy yolk all over the fish cake. I take a spoonful, scooping as much yolk as I can. 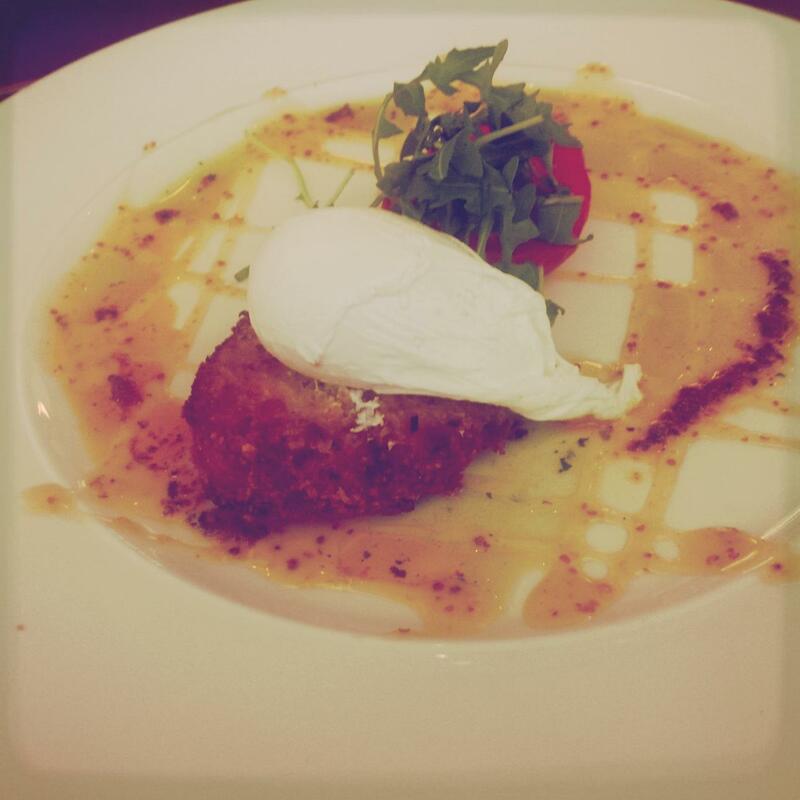 The texture of the smoked fish, the crispy batter coating and the gooey yolk combined for quite a taste experience. A truly remarkable dish which shows you what simple ingredients can do for a dish. It’s all about produce. I continue with my glass of Chateau Larange, a remarkable soft red French drop, which sustains me for the day. Then I realise it’s time for my Cabana booking. I have booked one of the Canbana’s until my flight is meant to depart. I also have a quick massage and treatment at the Elemis travel spa in the lounge. I place all my stuff away can just chill, this is “me time” … although the situation in the U.S. does concern me so I do give up some of my “me time” to watch Bloomberg which is covering the US debt crisis. 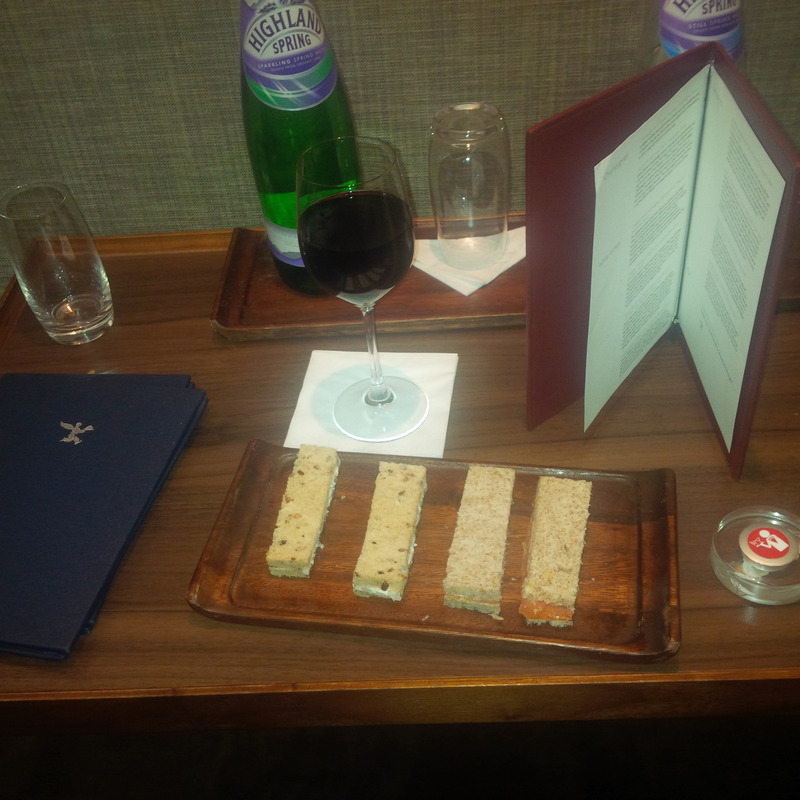 Then I hear my flight is delayed by an hour, so I have a bit more time on my hands in the lounge. Life is good! I then notice on the news wire, that the US congress has got its act together and lifted the debt ceiling – great news, as I could just imagine the chaos in the US if the debt ceiling wasn’t lifted. 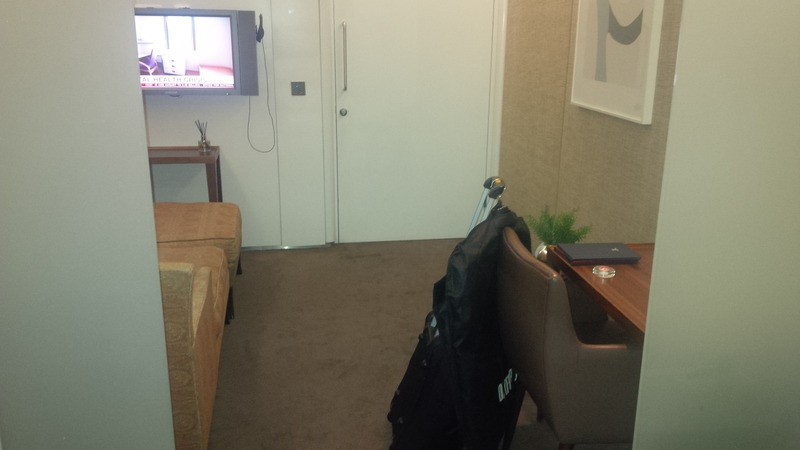 Eventually reality hits and I am forced to be torn apart from my beloved Concorde Room again. Oh well, I’m off to board my flight now. I am escorted to my seat. It is a beautiful dark navy suite. I am provided with an amazing menu. Timbale of Yorkshire smoked Rainbow Trout, Smoked Salmon, Cream Cheese, watercress, fennel, orange and radish salad. I pair this with a Laurent-Perrier Grand Siecle. This is the prestige cuvee of the house; the champagne has a bright gold appearance and has flavours of honey, almond and brioche. I really do not want to disembark from this flight. 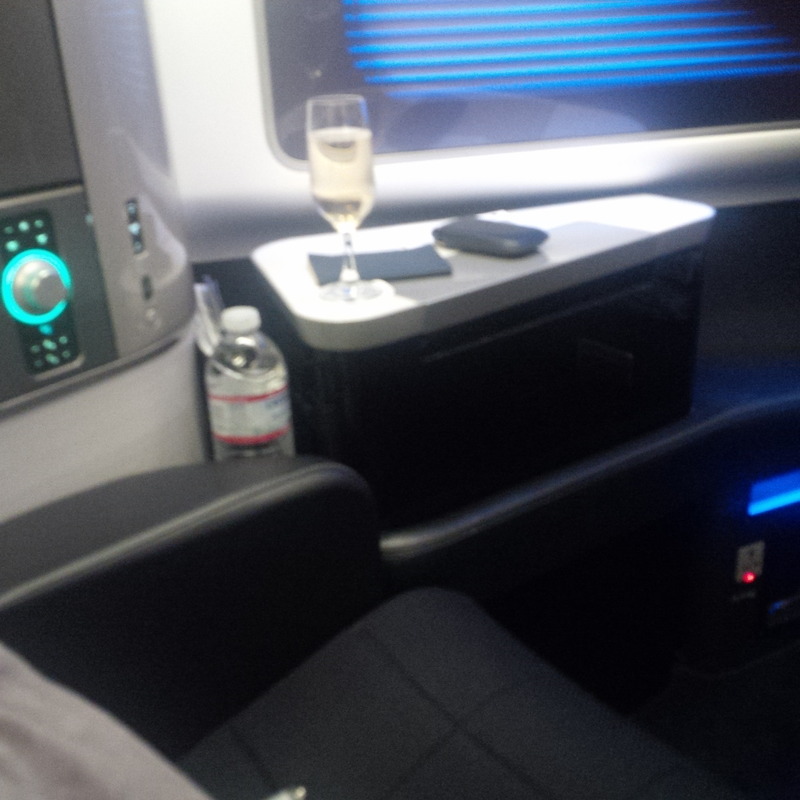 Just when I thought I could not find another reason to continue my jetset ways, I am served the main course. 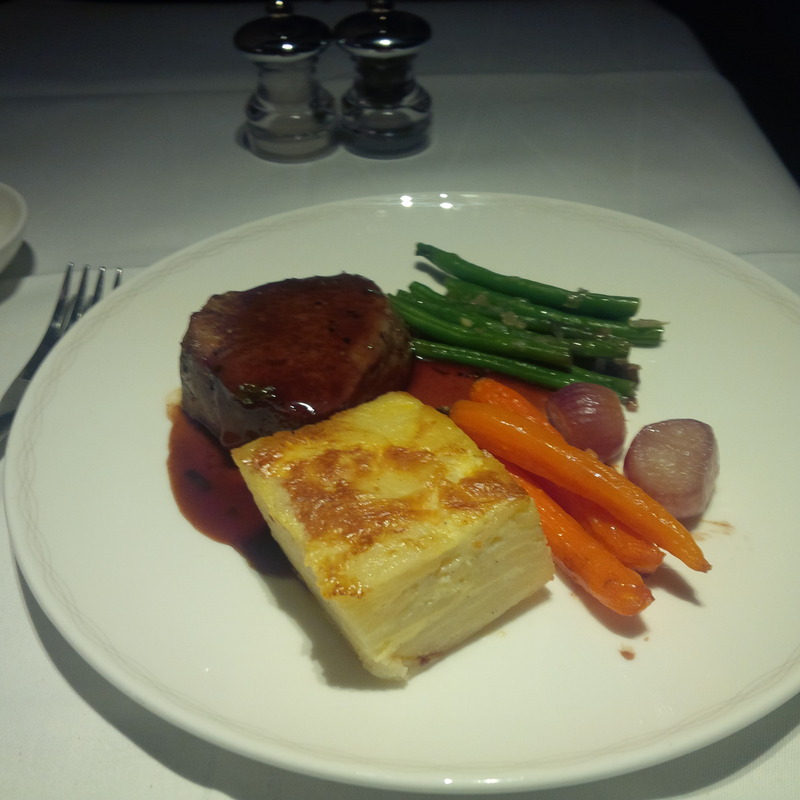 It is a seared fillet of Aberdeen Angus beef with red wine, port and tarragon sauce, dauphinoise potatoes, fine beans, baby carrots and shallots. This dish is simply exquisite. The beef is succulent and each of the sides melt in your mouth with that beautiful soft buttery texture. 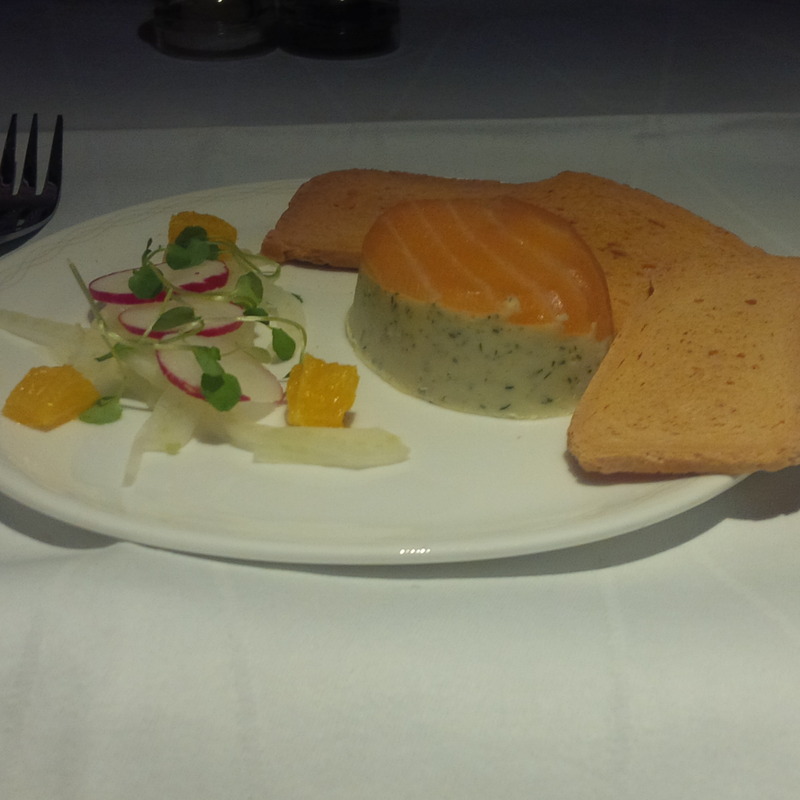 I am actually surprised to see a chef nail a dish to such perfection at 30,000 ft. It somewhat depresses me that some chefs can’t seem to do that on the ground. The dish is paired with a, 5eme Grand Cru Classe Margaux (2007) from Chateau du Tertre in Bordeaux. It is fine match for the beef, with beautiful cassis fruit flavours, a hint of vanillin oak and a ripe tannic structure. I opt to skip the dessert and get some sleep. I have my bed made and stretch out to have an amazing nap. By the time I wake-up we are almost at New York. The next step of the adventure begins.